Pre AVG: Born in East St. Louis, IL. Graduated from E. St. Louis HS in 1935. Attended Washington University, St. Louis, MO and LSU, Baton Rouge, LA. Obtained private pilot’s license. Entered service 12/23/39. Basic Flt. Trng. Randolph Field, TX. Graduated Advanced Flt. Trng. Kelly Field, TX with Class 40-E in May, 1940. Recvd. 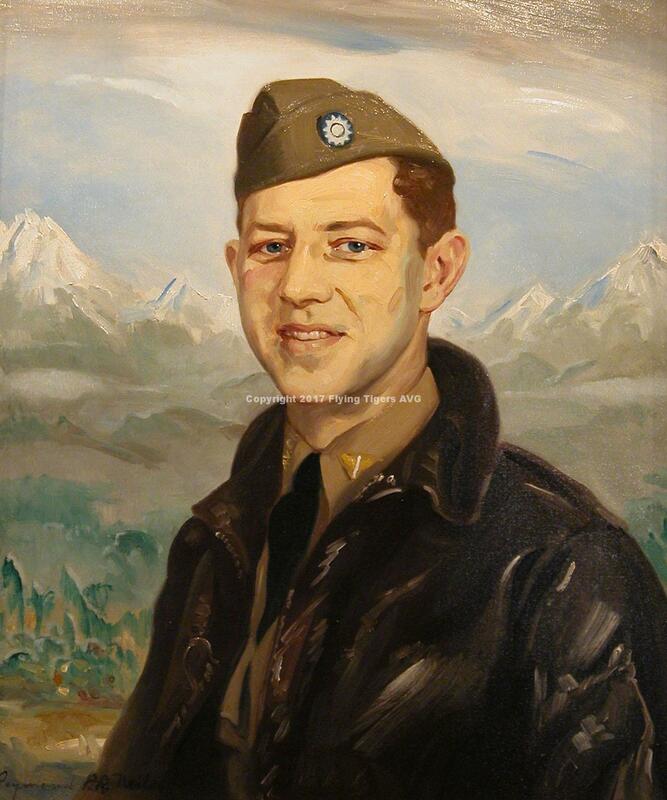 his pilot’s wings and was commissioned a 2nd Lt. in the U.S. Army Air Corps. He was assigned to fly P-40 pursuit planes in a fighter group on the east coast. Recruited from US Army Air Corps, (probably) Mitchel Field, NY. 8th Pursuit Group. Resigned his commission 7/15/41 and accepted civilian employment with CAMCO under secret presidential authority. Met other AVG at the Bellevue Hotel, San Francisco, and departed on 7/24/41 from the Port of San Francisco aboard the Dutch ship of the Java-Pacific Line, M/V BLOEMFONTEIN. Shared stateroom with R.T. Smith & P.J. Greene. Transferred to the PENANG TRADER in Singapore and arrived with the rest of “The Bloom Gang” at the Port of Rangoon on 9/15/41. Train trip upriver to Toungoo and arrived Kyedaw Airfield late that night. Assigned to the 2PS PANDA BEARS. Killed on Monday, 22 Sep 41 while training in a Curtiss-Wright P-40B Tomahawk near Kyedaw Airfield due to an inverted spin in a heavy rainstorm. Crashed in the jungle several miles from the airfield. Funeral service by AVG Chaplain Paul Frillmann on 24 Sep and Maax was buried in the Airmen’s Cemetery of St. Luke’s Anglican Church in Toungoo, Burma. He was laid to rest in grave #2 next to “Armie”, John Dean Armstrong who was the 1st AVG fatality, two weeks earlier.